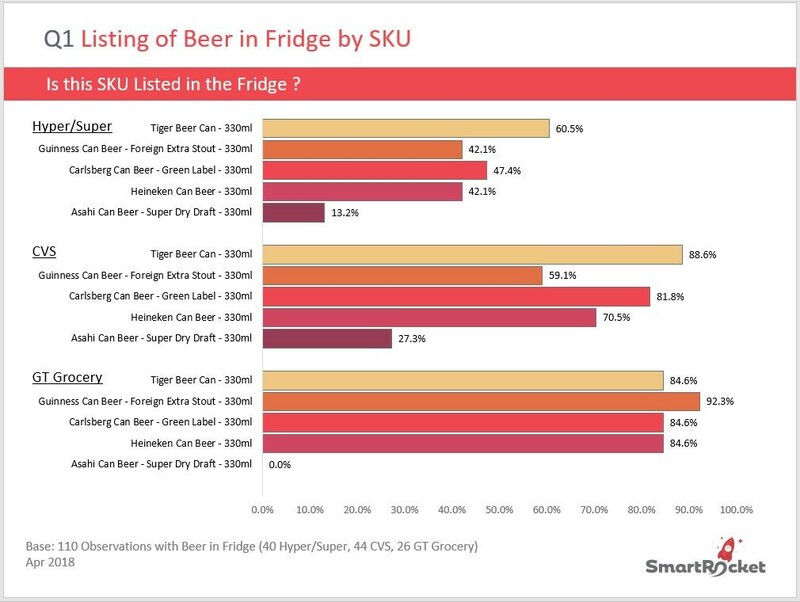 A market overview may be good for strategic planning, but when it comes to improving actual sales performance at store level, it may not provide the necessary detail. The differences in sales environments across channels add to the complexity of turning strategic level information into real sales outcomes. 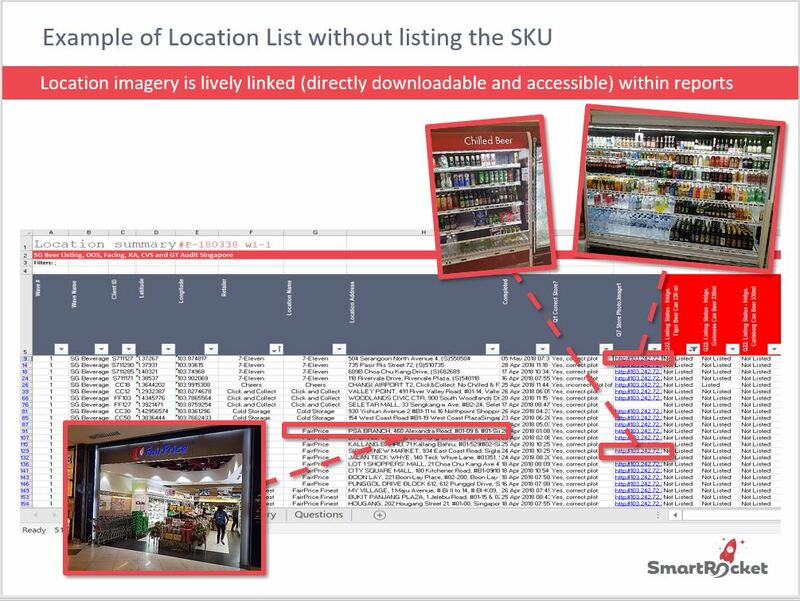 Location specific, in store data can however help you solve this problem quickly and effectively. 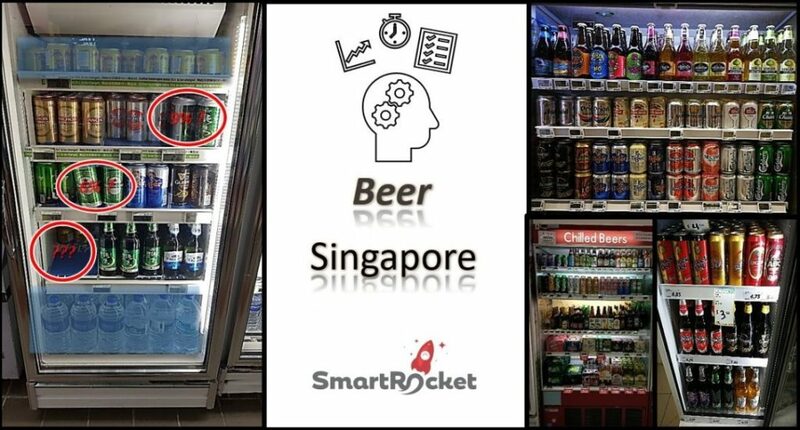 Here are a few results from a recent nationwide audit on Beer products in Singapore to show you how. Find the golden goose at channel & location level – If we want to expand the category, the very first question in mind will be which outlets are not yet listing my product. To get this piece of information is easier said than done. Location specific data shows exactly the information you need at one glance. Track the sales performance and do right by Channel – The listing of product is important, so as the facing share. It affects greatly the opportunity of your product being chosen. 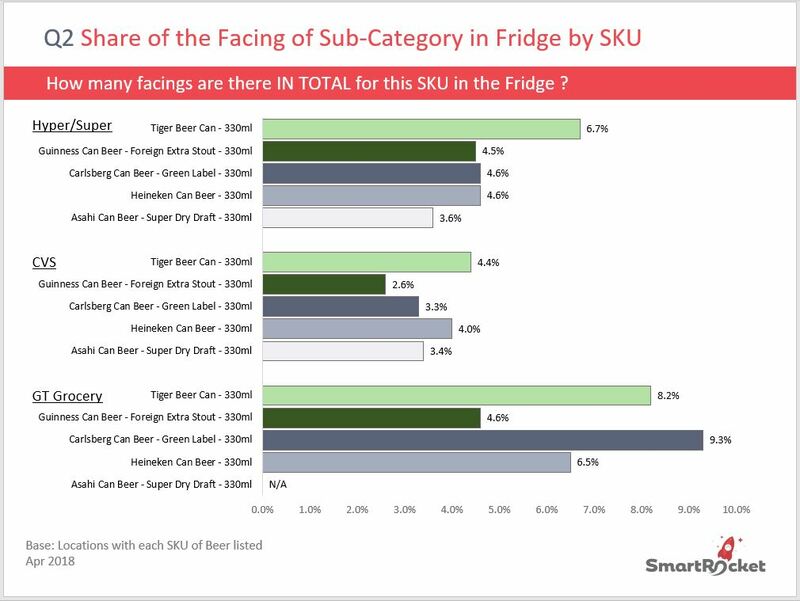 Product listing may be relatively stable over time in most cases but this is often a different case to facings share, which will be frequently affected by trends/ new launches/ retailer preferences and more. A close monitor of facings share will improve your decision making. 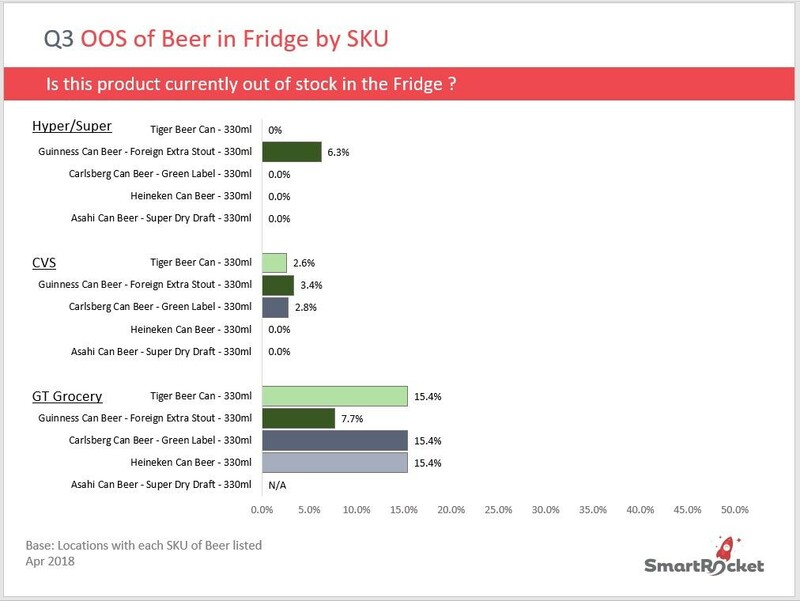 Reduce Out-of-stock by focusing on consistent poor performers – OOS can cost you more than you thought. In reality, some outlets have the same OOS issues repeatedly over time. Location specific data enables you to pinpoint all the problem locations. You will then know where to start with.